Lakeshore Football Association is excited about our upcoming season and would like to welcome many new players as well as our returning veterans. 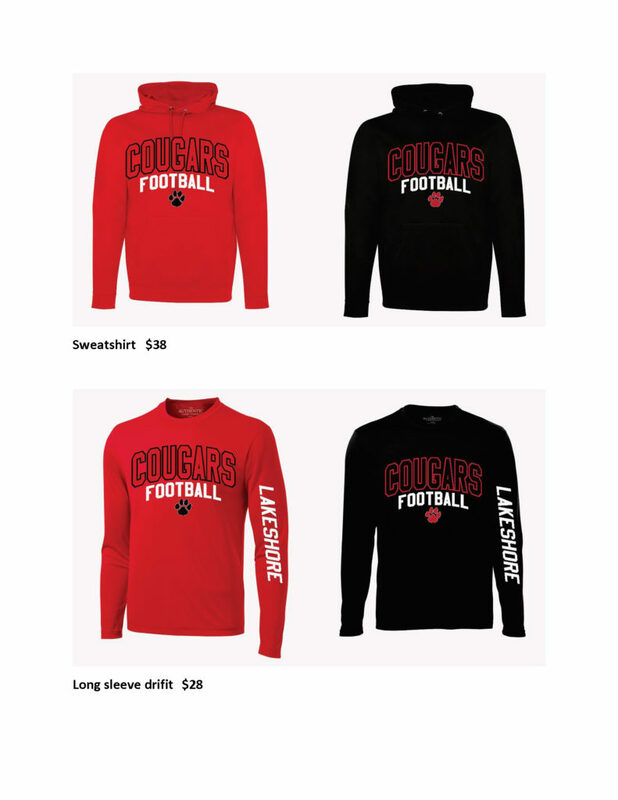 We have been getting requests about how to buy Cougar apparel so we have put together an initial package ( see Attachment ). 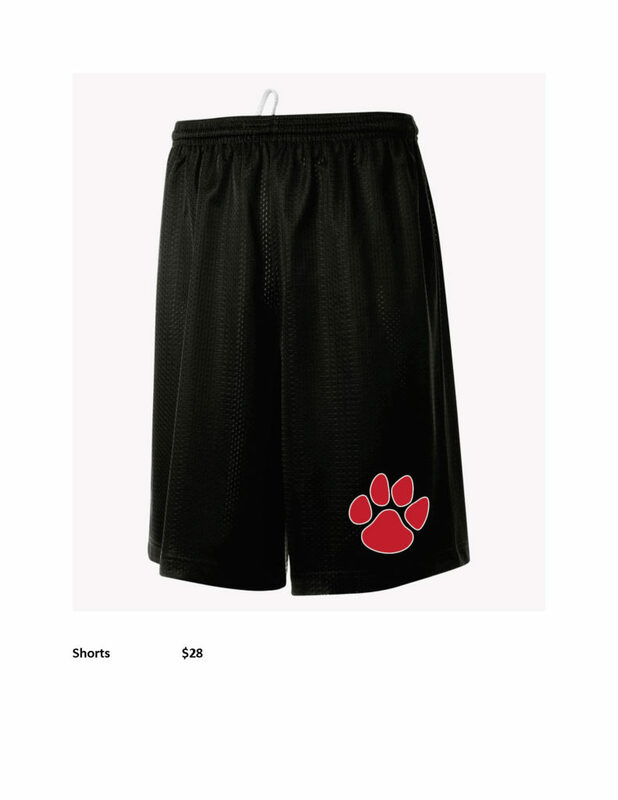 Samples will be available for sizing at Benevoles on July 31st and at Smiley on August 1st for kids ( and parents ) that would like to purchase. If you are not available on these dates we can also guess what sizes your child would need based on teammates. Please bring your checkbook since we will need payment in full before we place the order. 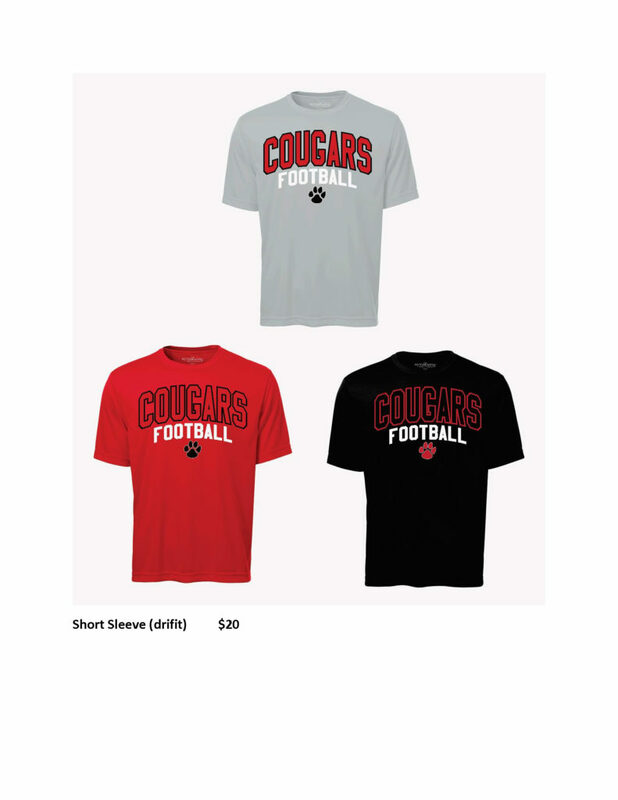 The order is going out on Aug 5th since we have been told ( By Stinger Sports) that it will take two weeks, so if all goes well we will have our merchandise for our first weekend of games.